It’s a challenging and uncertain time for The Gambia. An increasingly totalitarian government continues to use widespread intimidation and imprisonment of activists as implements for preservation and control, and the Presidents progressively anti-West stance has led to the nation’s withdrawal from the Commonwealth and a crippling shortfall in aid. The economy is stagnating; dependence on tourism as an industry is becoming increasingly difficult as hostility to outsiders grows. 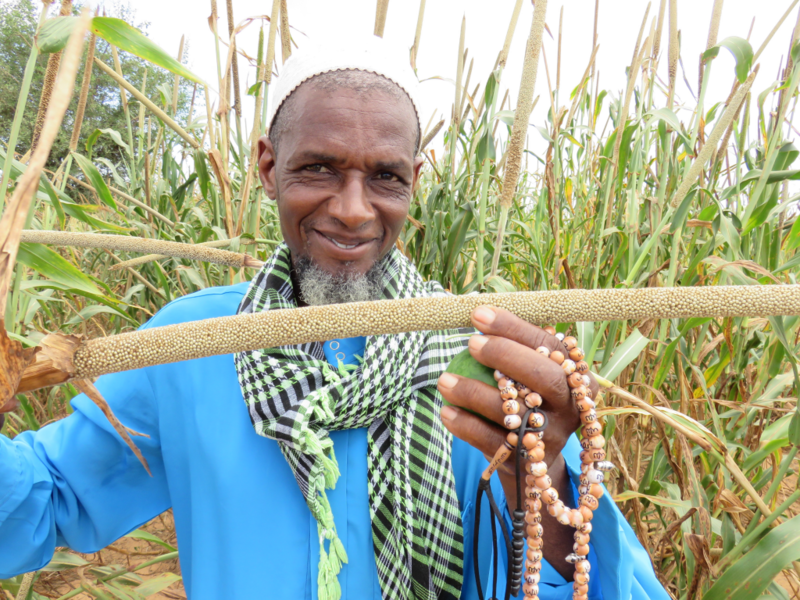 The increasing incidence of extreme and unpredictable climatic conditions has resulted in agricultural deficits and communities in rural areas are facing significant challenges. In the midst of deepening food insecurity and increased unemployment, young people, especially young men, are looking towards economic migrancy; departing their rural communities in search of opportunity in Europe. Accessing Europe the ‘back-way’ is an extremely dangerous and expensive journey, and one that forces young people through conflict zones and into unsafe waters, arriving in Europe into a climate of hostility, confusion and uncertainty. With just 34% of asylum claims from Gambian nationals accepted last year, there is absolutely no guarantee that if these young people arrive safely, they will be able to access paid employment and send funds home to their families. Despite risking their lives for the prospect of opportunity, these young people are forced into destitution; a crippling realisation that means they often disappear without a trace, too ashamed to return to their despairing families empty handed. Our programmes in Gambia focus on improving rural livelihoods so that more young people feel able to remain in their communities. Young people aspire to be productive members of their societies and contribute to a growing economy and community prosperity. Our work follows a three-pronged livelihoods methodology that helps those dependent on rural agriculture ‘hang in, step up and step out’. Our team in Banjul are currently working on a proposal to be able to provide emergency response assistance to those badly affected by unpredictable and extreme weather. This is an approach that allows us to be reactive to the needs of the communities we work with, reducing the severity of the difficult times so that they can bounce back quickly and continue to generate income. 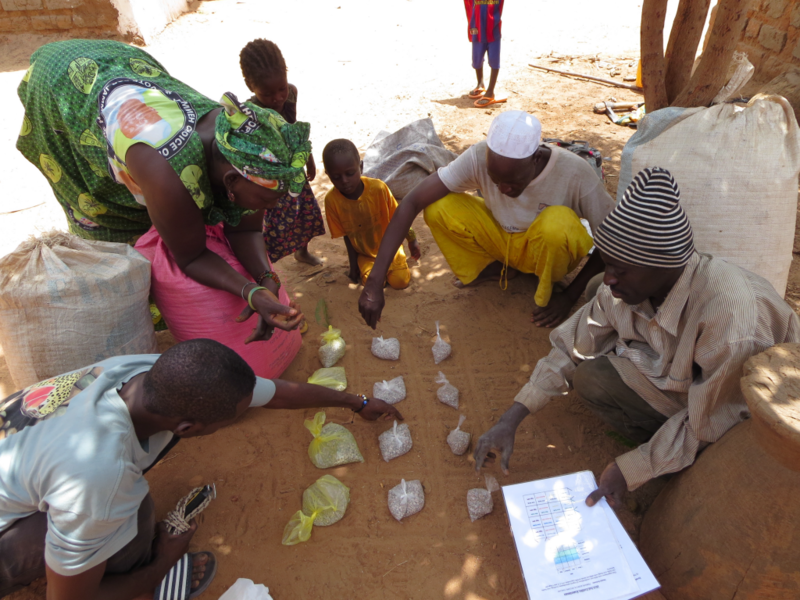 In partnership with researchers from the University of California, we support farmer-led trials of modern seed varieties, fertilizers and soil improvement strategies so that farmers can learn first-hand the approaches which lead to increased yields. Trials are followed by group discussions and community radio broadcasts to encourage knowledge sharing and cooperation, allowing informed farmers to define their own farming approach based on their own financial, soil and climate circumstances. 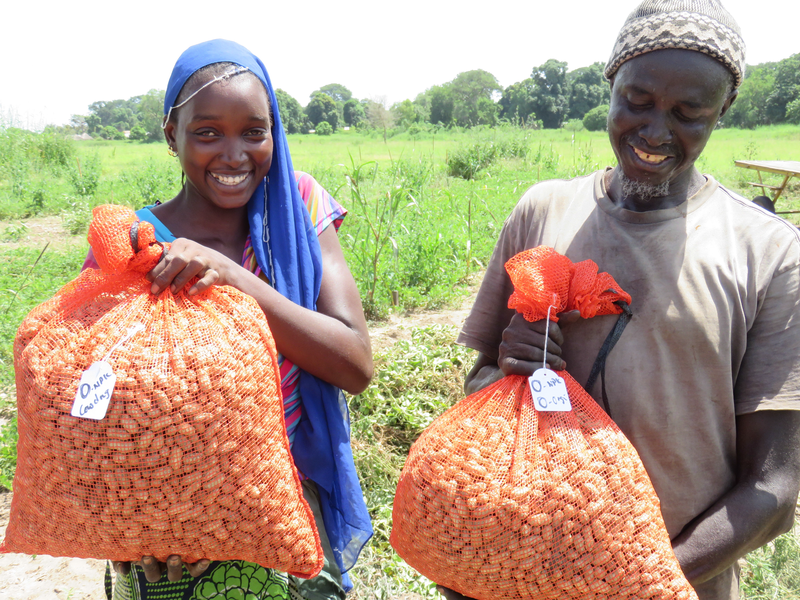 Two young farmers compare their Groundnut yields following a trial. They are learning that adding 3 tonnes of manure per hectare during the growing season will result in far higher yields, larger profits and a more secure year ahead. We are working to provide entrepreneurship and skills training to young people to enhance their employability and increase the prospects of them starting a business in their communities. We are arming a new generation of Gambians to become plumbers, mechanics, carpenters and craftsmen, able to compete against service providers from across borders, engage in trade routes and generate income, so that they can become food secure, access healthcare and education and invest in their own futures.